Washington, DC – June 19, 2017 – Each year the Bureau of Engraving and Printing (BEP) accepts invitations to participate at numismatic events. 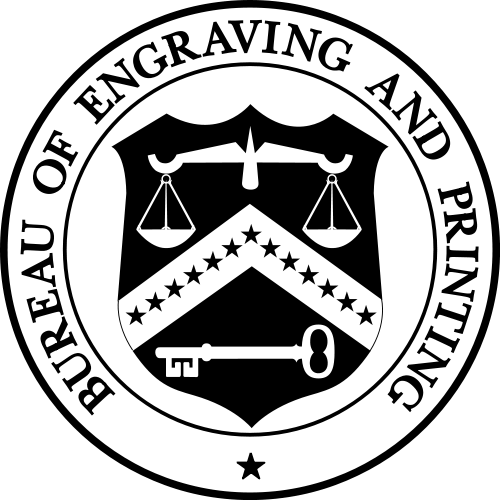 BEP’s participation at these events promotes awareness about its mission and role in producing and maintaining the highest quality United States government security documents, specifically currency. Participating at these exhibitions provides many people with an opportunity to see BEP in a manner in which they would otherwise not experience. BEP displays its Billion Dollar Exhibit, which features more than one billion dollars of rare and antique currency, including sheets of $100,000 currency notes, Treasury Bonds, and Gold and Silver Certificates. Exhibition visitors will see 19th century Spider Press demonstrations, as well as BEP’s mutilated currency examination process. Information about the government’s currency program, technological advancements, and historical data is also shared during open discussion forums. BEP sells unique, currency-related items, including sheets of uncut currency, professionally packaged premium products, special intaglio print cards, shredded currency, and numerous specialty items. Requirements: Show sponsors, bourse chairmen, and/or coordinators are required to sign a security agreement issued by BEP’s Office of Security, prior to participation (sample provided upon request). The sponsoring organization shall provide, at minimal/no cost to the federal government, booth space (40’ x 50’ minimum); transportation costs for exhibits, Spider Press (if applicable), and products (via secure transport); tables; table skirts; display cases; lamps; electricity; internet access; phone service; carpeting; and, drayage services with a maximum amount of security support. The Bureau of Engraving and Printing’s mission is to develop and produce United States currency notes, trusted worldwide. BEP’s vision is to be the world standard securities printer providing its customers and the public with superior products through excellence in manufacturing and innovation.